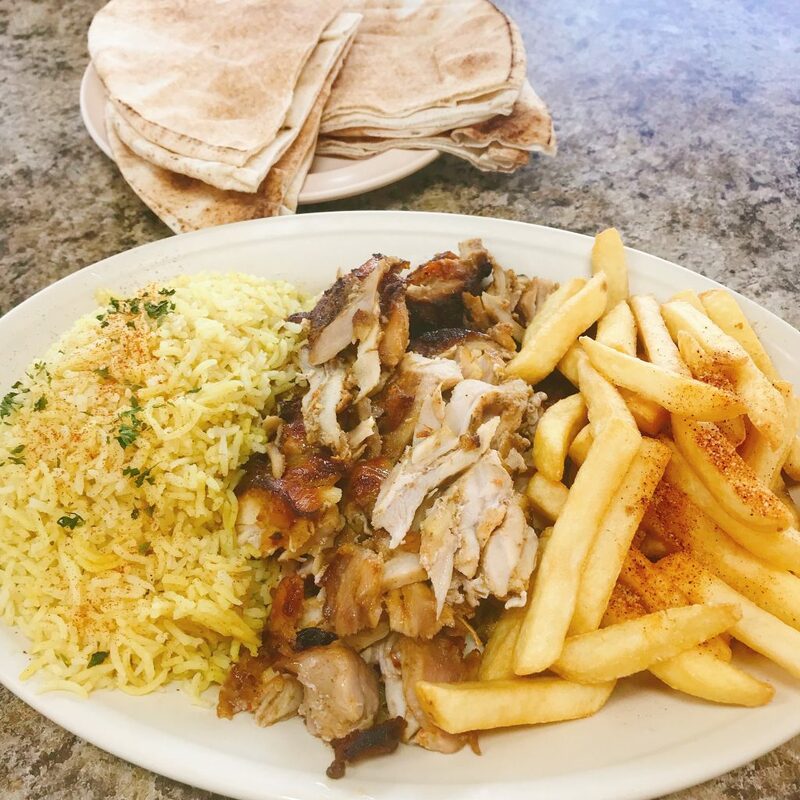 We have always enjoyed eating halal fast food such as shawarmas, burgers, sandwiches and wraps at Busy Boy Sandwiches Mediterranean Grill and Café. 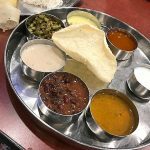 It’s located amidst various other eating joints and ethnic stores on Hillcroft which is also known as Mahatma Gandhi District or Houston’s “Little India”. 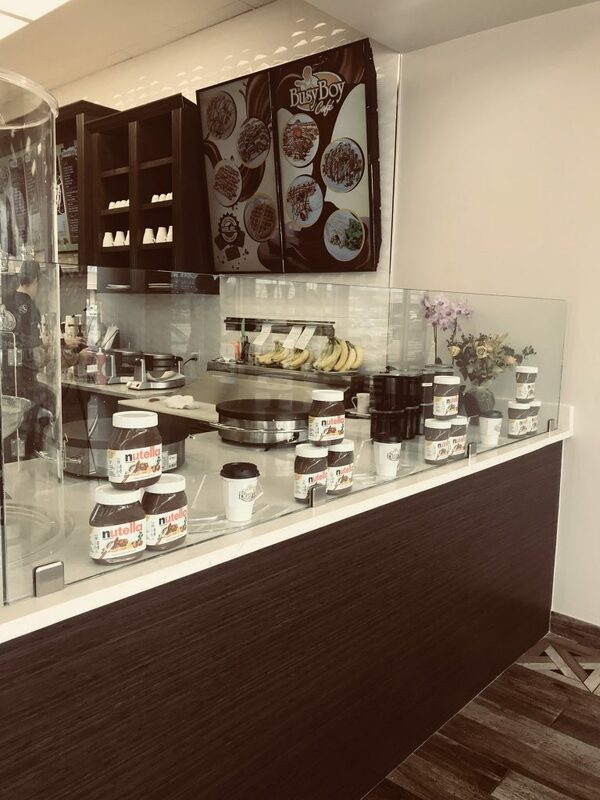 Yesterday we specifically went to check out their newly opened cafe section which offers halal sweet and savory crêpes, waffles, gelato, baklava, beverages and more. We started off in their restaurant section by ordering lunch. My husband and I ordered a Chicken Shawarma platter whereas the kids ordered their regular sandwiches and wraps. 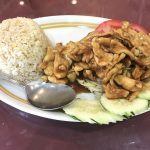 There is a wide variety of lunch/dinner items to choose from such as burgers, Philly Cheese steak Sandwich, Crispy Chicken Sandwich, Kabob Wraps, Gyros, Shawarma Plates, soups and salads. As always the food was fresh and flavorful. The older section has a very simple decor with glass walls facing the busy street. There is a large counter which holds the cash register, shawarma grill and sandwich station. 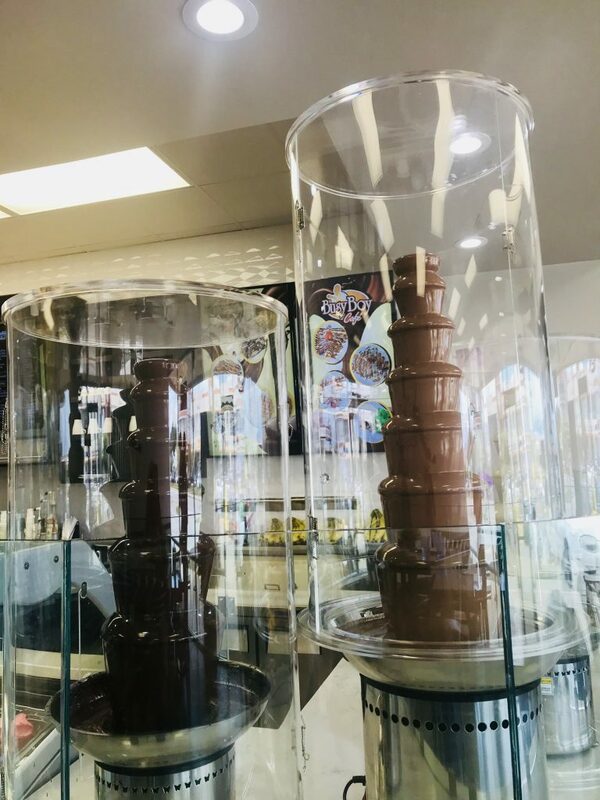 The newly built café section has a slightly more upscale feel with cascading chocolate fountains, Nutella jars and dessert samples on the counter. It was very neat and clean. 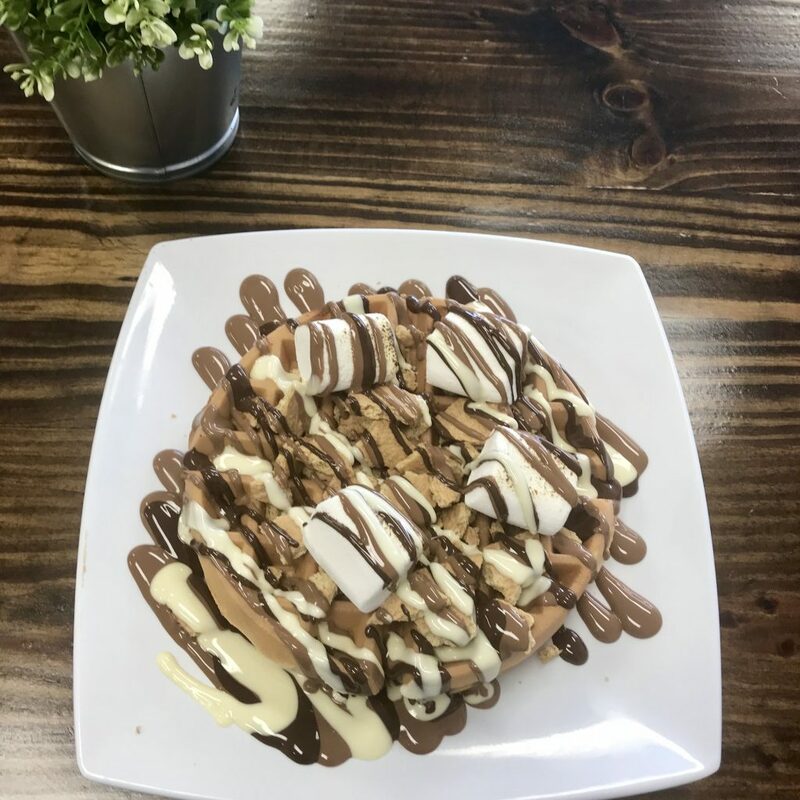 We were quite full after the delicious lunch but couldn’t resist ordering a S’mores Waffle, baklava and a small scoop of gelato since that was the main reason we went there this time. The S’mores waffle was large enough for all three kids to share after lunch. It was warm and fluffy with halal marshmallows and a generous drizzle of chocolate. 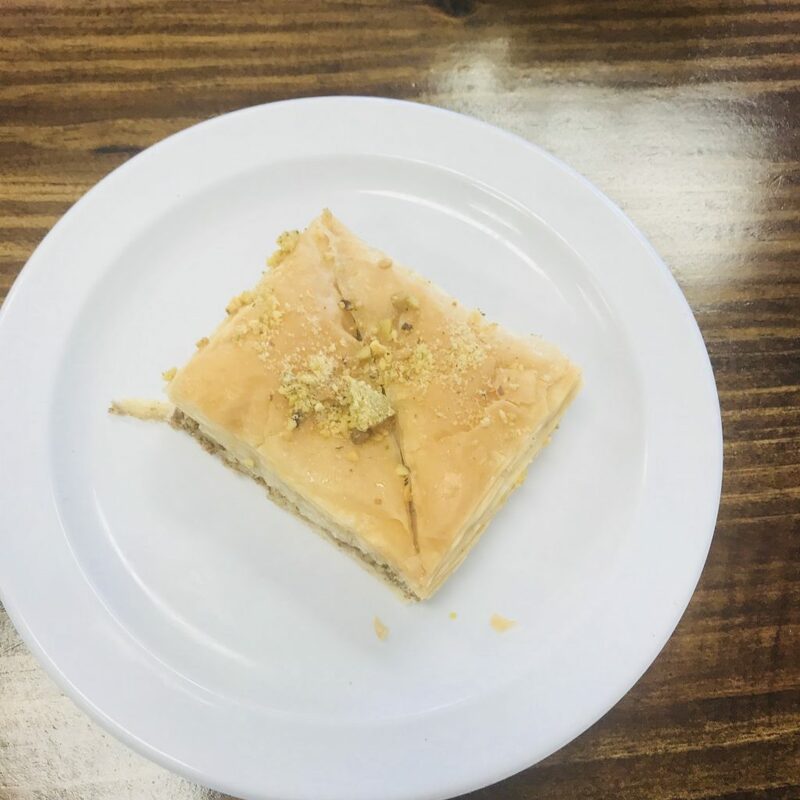 The baklava wasn’t the best but good nevertheless. There was an option of chocolate drizzle on baklava but I decided to skip it. 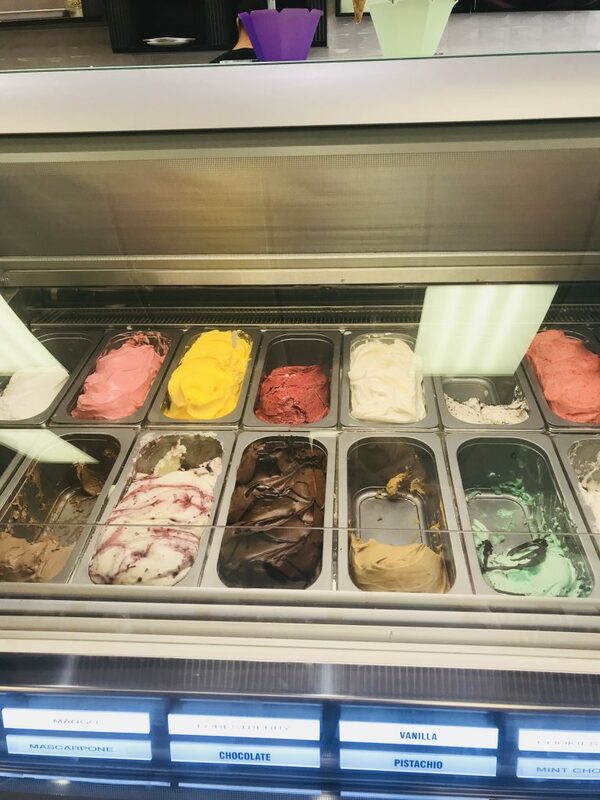 Gelato was good too. 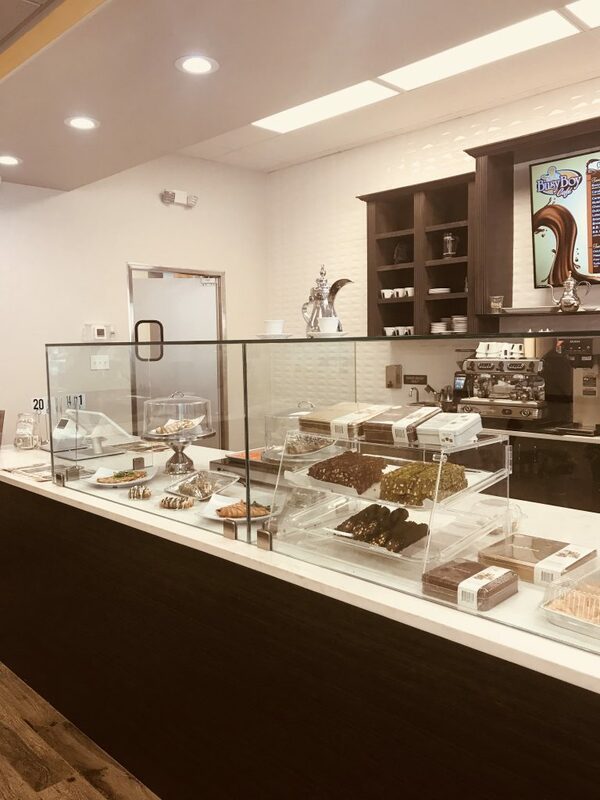 We found Busy Boy Sandwiches Mediterranean Grill and Cafe to be a family-friendly and reasonably priced joint offering a wide variety of American as well as Mediterranean fast food options for casual dining or take-out. The newly opened cafe’ section is another feather in their cap. We will definitely return again. Have you visited Busy Boy Sandwiches Mediterranean Grill and Cafe lately ? Please let me and my readers know about your experience in the comments section below.